Cancellation and refunds: The deposit is refundable upon cancellation no less than 2 weeks (14 days) before rental period begins and only if the house can be and is re-rented for the same time period. A 20% cancellation/service charge is deducted to cover re-renting costs and is not negotiable. Later cancellations will result in a substantial reduction of the amount refunded unless a rental can be secured for the entire period being canceled at no loss in the rental fee. Terms and Conditions: Horizons Cottage has a maximum occupancy of 6 persons; the maximum for Captain’s Cabin is 2. When both cottages are rented together, the maximum occupancy is 8 persons, regardless of age. Rental periods are based on a daily rate. Occupancy begins on your arrival day at 3:00 p.m. local time and ends at 10:00 a.m., local time on the contracted check-out date. Horizons and Captain’s Cottage have been carefully designed and equipped to provide guests with a maximum of comfort and convenience. A cleaning fee is included in the rental fee structure and is non-negotiable. A rental contract must be executed before occupancy occurs. All rental requests are reviewed on a first-come, first served basis. Owner reserves the right to refuse any request and all such decisions are final. After you have arrived in St. Thomas by plane, you can retrieve your belongings and when prompted at the exit for a taxi, just ask for St. John. There will be a charge for the transportation and a fee for the luggage. From there you will go to the ferry dock at Red Hook and take the boat over to St. John. (cost is $7 one way, plus the cost per bag at $2.50). Once you get to St. John, the car rental company (see below for phone numbers) will meet you and direct you to their location within walking distance. We have had luck with these companies with rentals and their willingness to meet guests at the dock upon request. Remember that most close around 5 pm so take this into consideration when making travel plans. Remember, we drive on the LEFT side of the road. The roads are very steep, narrow, windy with very little signage to alert you of upcoming sharp curves in the road. From Cruz Bay: Take Route 10 (Centerline Road) to Coral Bay, turn right onto Route 107 when you see all the signs and are on the flat section of the road. If you go over speed bumps, you missed the turn! Follow Route 107 south along the coast to Horizons and Captain’s Cabin, through Coral Bay and around the coast. You will pass Calabash Boom Market then 1 mile later, Miss Lucy’s Restaurant. We’re 1 mile from there on the left. You will see a group of mailboxes on the left, and a road named “Sugarbird Hill”. Turn left and bear left going up the concrete road. When you get to the top of it, you’ll see another concrete road straight in front of you going up-take that (still Sugarbird Hill-see the road sign). At the top, the road goes down the hill. You will see Horizons roof on your left. The name of the cottage is on the house. Captain’s Cabin is a little beyond Horizons on the left as well. You’ll see an area to parallel park on the left and a set of stairs going down. On the landing part way down is the sign saying “Captain’s Cabin”. There is room for a three-point turn where you park. Susan Littlefield has lived on the island for many years and is brimming with information, tips, tricks, and all the secrets to the local’s favorite spots. She is available to answer questions by phone (617) 688-0172 or (340) 514-0382 or by email at susanglittlefield@gmail.com. For more information, info on holiday rates or to book a vacation please contact Sue. Rent Your Own Powerboat – Nauti Nymph offers you the freedom to go as you please aboard your own pleasure craft. Snuba – going beyond plain old snorkeling. Tennis, anyone? Pricey, but possible at Caneel Bay, the exclusive resort, as well as The Westin when they re-open. Mongoose Junction is the largest shopping complex on St. John. It features artisanal shops, restaurants, professional services, watersports and more. A list of shops can be found here. The Annaberg Sugar Mill Ruins give insight into what brought settlers to St. John in the first place. The Virgin Islands National Park at St. John keeps visitors coming back. OMG, my hair is a mess! Off to the Grapevine Salon with you, then! Souvenirs, kitsch, elegant mementos, kids clothes? Check out the St. John Spice Company right off the ferry. So you would like to go hiking and are looking for the perfect St. John companion/guidebook? Look no further – Island Ways has you covered. Still want more shopping info? Read on for unique products, below or check here. CaribbeanMag.com – Welcome to the Caribbean search engine. Search for accommodations, hotels, resorts, all-inclusive, villas, condo, vacation, travel, and scuba diving information in the Caribbean Islands and the Caribbean Coast of Mexico, Belize and Honduras. Visitstjohn.com – St. John, smallest and most idyllic of the three United States Virgin Islands, is best known for its dozens of postcard-perfect white sand beaches, turquoise bays abounding in colorful corals and rainbows of tropical fish and endless vistas of green velvet hills. 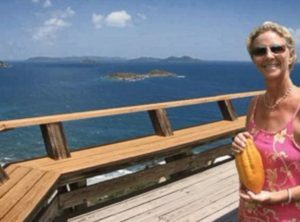 Friends of the Virgin Islands National Park is a non-profit organization dedicated to the protection and preservation of the natural and cultural resources of the Virgin Islands National Park. 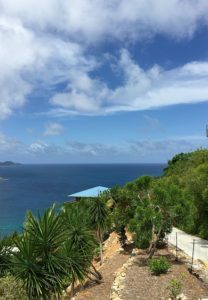 St. John Links – in the United States Virgin Islands, wants to help you explore our little Caribbean Island! Come preview some of our spectacular views and pristine beaches.